Learn how to say more words in Japanese. How do you say Busy in Japanese? Busy in Japanese is this: 忙しい (this being the kanji). 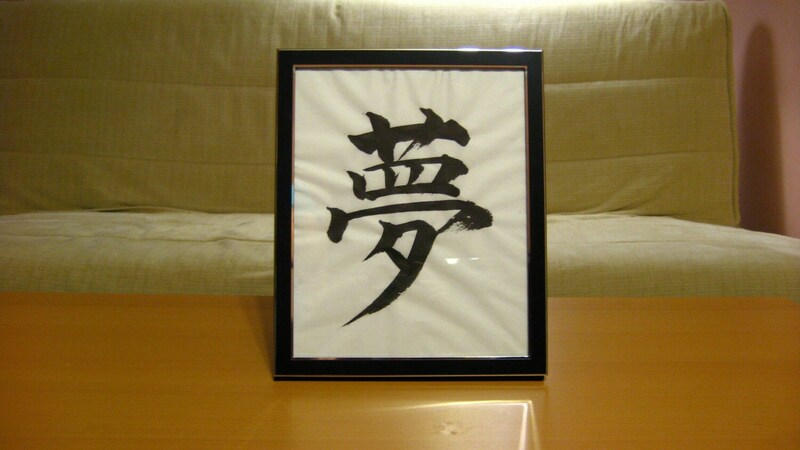 This is read “isogashi,” or いそがしい for all you Japanese literate peeps. Well the past couple of weeks have been way to busy, Aya and I have barely found the time to sit down and watch our Desperate Housewives episodes (gasp). Kai is now officially a toddler and this is 90% of the reason why things have been so crazy. He is on the move 24/7 and at times I wonder how he did things so fast. As you will be able to see from the video, Kai is off to work to pay the bills (albeit with a briefcase full of poker chips), so you have to give him the Japanese nod…I mean bow. He is turning into a regular Japanese ninja, just like all of my teachers who somehow have the ability to disappear in the blink of an eye. Just ask any person who isn’t Japanese and they will tell you, teachers here sure know how to disappear fast. Just look at the way he vanishes on one side of the room, only to reappear in a different room. Aya and Kai came to visit me at my school on our sports day. They got to meet the vice-principal of my school and some of the other teachers. I ran in the club sports relay race, with the teachers team, but we ended up coming in 3rd place behind the basketball and baseball teams. I was the Anchor, but couldn’t seem to catch up to the students in front of me. Maybe I should start working out again? I am also going to post the recent pictures from the past week or two, just because you all have been so patient and not forgotten about cute little Kai. Aya got to hit up some more “Mom’s Meetings” in our local neighborhood, allowing her to meet some new Moms. She also has started going to an international Mom’s Meeting, where they have to use English for the whole time. I guess a lot of the mothers who attend are already pretty “pera, pera” (fluent), but Aya seems to love it because all the babies are half Japanese just like Kai-man. It really helps her because she doesn’t have to answer the barrage of questions about foreign culture, etc. etc.. But when she does go, she needs to introduce something about American culture (with respect to babies) to the rest of the group. We were thinking Paddy-Cake, cause who doesn’t love that song. Now if I could only get the words right…Baker’s Man? Does anyone know the correct wording to this tune?? Help will be much appreciated. Speaking of getting fluent (no no, I am a lonnnng ways from that, but I did get a Nintendo DS recently to which I say, anyone who has this wonderful piece of gaming hardware, can play me in Mario Kart from across the world, right on their little DS. I bought the DS so I could study Japanese, and it already has improved my reading and writing from these past couple of days. I got a game which quizzes me on the Kanji and all the various readings, writings, stroke orders, etc. End Tangent). So yeah getting fluent is one more thing Kai has taken up as of late. I don’t really have a video or sound track of him talking yet, but when I get the time to compile some clips of his voice together I will post it. I think he might be right on the verge of understanding Dada and Mama, two things he says a lot. One thing he definitely does understand is NO! He has known that word for a while now, but it doesn’t mean he is going to listen all the time. He also loves to play this game where he gets a toy, or a piece of food, and then offers it up to us. We always say “thank you,” and then he just laughs and does it again, and again. It is ridiculously cute, but the funny thing is now he thinks “thank you,” means “please give me that.” So when we say thank you now, he sometimes stops what he is doing and tries to hand us whatever he is holding. Kai-chan is also getting very good at saying something to the extent of, “Diss.” If he is trying to say “This”, or if it’s, “DESU” (the Japanese “be”verb which is used all the time), the jury has yet to make a decision on that one. I personally think this sound will end up being DESU, which wouldn’t be all that surprising seeing as how he probably hears Japanese 80% of the time. In all honesty it would be better for him to learn Japanese first, cause he might not have the chance to learn it later on in life. I will just be really jealous if Aya is able to talk with him, while I have to sit on the sidelines and look things up in a dictionary. I think that about wraps it up; I told you we were busy. I hope everyone is doing well, I feel like I haven’t been in touch with anyone for way to long. If you all are not to busy, drop me a message and let me know how things have been in your neck of the woods. We think about everyone often and would love to hear how life has been. P.S. Say can you remember, dancing in September? This entry was posted in Baby Pictures, Baby Video, Japanese, Kanji, Talking and tagged Talking, Toddler, Video, Walking. Bookmark the permalink. You are stupid. It’s isogashii to “i”s dummy that or you take the “i” off of the hiragana. Em: it should be “なたのあかちゃんはかわいいです。” When used as a particle, ‘wa’ is spelled ‘ha’ though still read as ‘wa’. Brandon, quit being a holier than thou weeaboo. She made a mistake. So what. Yes, I completely agree with “Someone”. Brandon doesn’t even know how to punctuate or the difference between “two” and “to” (and probably also “too”), so he shouldn’t be correcting anybody about anything.